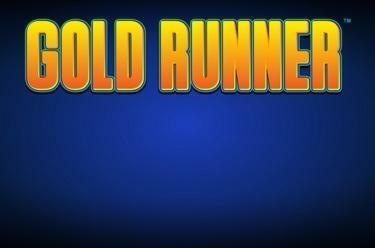 Play Gold Runner online for free now! Gold Runner, a fruit slot in the style of Random Runner can be played on 3 to 8 reels and up to 20 pay lines - just as you like it. The star symbol scores the highest winnings. Your aim in Gold Runner is to line up 3 identical winning symbols on one of the win lines running from left to right. Pay special attention to regular symbols with a star because they promise particularly good fortune: If any 3 lucky symbols with a star appear on one of the lines you take home 3 star winnings! 3, 4, 7 or 8 reels 5, 10, 15 or 20 pay lines - what's it going to be? In Gold Runner only you decide how much risk you want to take. Decide on a betting amount and therefore the number of reels and win lines! 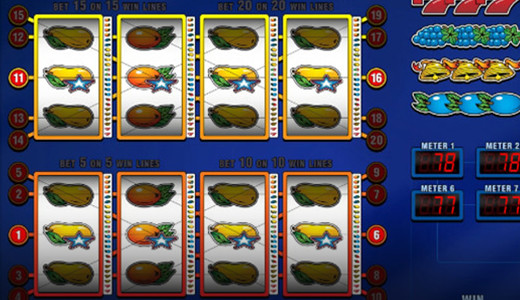 Authentic casino feel paired with game mechanics in a class of its own: This is what the fruit slot Gold Runner promises and it keeps that promise! The online slot machine looks snazzy and what's more you can decide on how many reels and lines you want to play - entirely after your fancy. Your hunt for Twists is aided by double lucky symbols: Collect any 3 symbols with a star on one of the win lines and make the Twists yours!